Midwives of Maine | Why Homebirth? Extensive research validates the safety of planned homebirth with a trained attendant for low-risk women and their babies. The most current and relevant to CPMs is the study “Outcomes of Planned Home Births with Certified Professional Midwives: Large Prospective Study in North America” published in the British Medical Journal (BMJ) in June 2005. This is the largest prospective study of planned home birth with a direct-entry midwife and shows that birth at home or in birth centers is as safe as hospital birth for low risk women, yet carries a much lower rate of medical interventions, including C-section. This study confirms the results of many other studies of out- of- hospital birth done in the past 30 years. As with all parts of life, childbirth includes risk. Both hospital birth and birth at home have unique risks. It is a mother’s right and responsibility to evaluate each set of risks, make informed decisions about her care, select the maternity care providers with whom she feels most supported, and choose the setting in which she feels most safe. 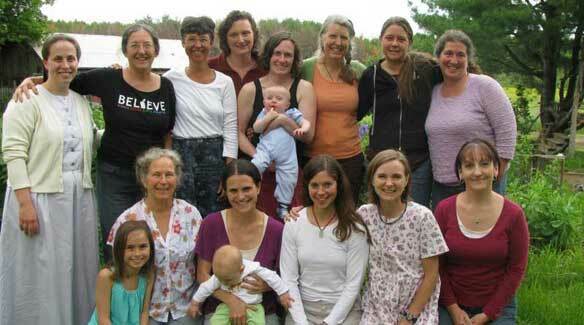 In Maine Midwives and Homebirth have always been legal. Because pregnancy and childbirth are normal female processes and not medical conditions, midwifery is not the practice of medicine, as affirmed by a long-standing Maine Attorney General’s opinion. For the same reason, parents are not considered negligent for choosing homebirth. Since 2008 Maine Statute does allow Certified Midwives practicing in Maine to purchase, carry, and administer certain medications used for control of hemorrhage, shock, resuscitation, and newborn prophylaxis. Maine midwives file birth certificates and perform newborn blood spot sampling for metabolic screening according to state requirements. Homebirth with a skilled attendant is a cost-effective option for maternity care. A woman who chooses homebirth is much less likely to engage in high-tech medical interventions during her pregnancy, labor and birth than her healthy counterpart in the hospital. Cesarean sections and inductions, and the problems stemming from them such as prematurity, infection and longer hospital stays, come with a high price tag. A 2007 Washington State Health Department report found that the lower c-section rate accomplished by homebirth midwives of 11.9% compared to the statewide average of 24% for low-risk women in hospital care saved the state an estimated 2.7 million dollars over 2 years. Complete pregnancy, birth, and postpartum care with a CPM in Maine averages $2000 - $3500, not including lab and ultrasound fees, compared to $6000 - $11,000 for a normal hospital birth and $13,000 - $16,000 for an uncomplicated cesarean section. Maine homebirth midwives average @4% c-section rate in their practices versus the current statewide average of 20 – 30%. Using these figures and Maine Vital Statistics data the Maine Association of Certified Professional Midwives (MACPM) estimated a savings of almost one million Maine healthcare dollars in 2006 by using CPMs for only 1-2% of Maine births! Homebirth midwives offer a variety of payment plans and their fee includes all office and home visits, birth, postpartum and newborn care, and continued postpartum phone consultations for mother and newborn. Maine Care does not currently cover homebirth, although any additional labwork, ultrasounds, doctor visits or hospital care would be covered. Health Insurance Policies usually cover those additional costs and sometimes cover homebirth as well. Ultimately, homebirth families believe that the benefits of homebirth far outweigh the costs. Statistically 88% of intended homebirths do happen successfully at home. The few transfers of care and transports to medical services primarily occur before labor or during labor and are not emergencies. Homebirth midwives are skilled practitioners who are trained to promote health, facilitate normal processes, recognize developing problems before they become serious complications, and resolve those problems or consult and provide emergent care until medical services can be obtained. Homebirth midwives are certified in CPR and newborn resuscitation (NRP). Your midwife will assess your well-being and your baby’s well-being throughout pregnancy and labor and discuss with you any increased risks. A CPM is a well trained specialist of normal birth, practicing outside the hospital setting. The training of a CPM varies from a long-term apprenticeship with established CPMs combined with intensive study, to a formal 3 year post-secondary education. In Maine we have CPMs with each of these educational backgrounds. The CPM credential is not a nursing specialty but is a competency-based credential that allows for multiple routes of entry to certification. Following their education and before practicing, all CPMs must demonstrate that they meet the minimum standard for knowledge and clinical skills required of an entry-level midwife as defined by the Midwives Alliance of North America (MANA) and the North American Registry of Midwives (NARM). This is accomplished through an application process that includes the national certification exam (NARM exam), skills assessment and documentation of meeting the minimum clinical experience requirements as outlined by NARM. Apprenticeship has been the traditional method of training midwives throughout history. It provides hands-on experience and continuity of care of women throughout pregnancy, labor, birth and postpartum. It has worked well and is an ideal format for training midwives in a rural state like Maine. Formal academic training is also an option through 10 currently accredited direct-entry midwifery schools in the U.S., one of which is Birthwise Midwifery School located in Bridgton, Maine. CPMs work primarily with low risk pregnancies and births outside the hospital, therefore the CPM education must reflect this unique and limited scope of practice. The focus of CPM education is on: 1) understanding the normal processes of pregnancy, birth, the postpartum period and the newborn baby; 2) promoting health and preventing complications of pregnancy and birth through excellent prenatal care, childbirth preparation and nutritional and lifestyle counseling; and 3) recognizing and managing unexpected complications by consulting, transferring care to a hospital, or providing emergent care to resolve the problem or stabilize the mother or baby until medical help can be received.